In 2010 India launched the National Solar Mission, which aims to install 20,000 MW of solar installations by 2022. This ambitious goal opens a whole spectrum of new solar PV business opportunities. India is a fast growing country and economy, with permanent electricity shortages. New power plants have to be built in order to sustain further rapid growth. The country has a very high amount of sunshine and its land and labor are relatively cheap. All of this makes India one of the most logic places on earth for large scale solar PV application. 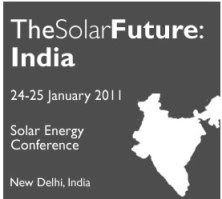 The Solar Future: India conference will feature many expert speakers from the industry itself, the financial institutions, the industry associations and the government. The combination of their knowledge and the audience's expertise and participation will provide a platform where all of these questions will be answered. Learn how to get started tomorrow: building your own manufacturing plant, your business or project. The ClimateSpark.ca Challenge launched today is offering a $10,000 cash prize and a pool of approximately $15 million in financing for business projects that reduce urban greenhouse gas emissions. The web 2.0 “crowdsourcing” and “ideation” platform allows an online community of investors, entrepreneurs, scientists, policy makers, environmental leaders and business buffs to rate and comment on business proposals and select the winners. Businesses from across Canada have until December 20th to submit their ideas. This opportunity to stimulate “green” entrepreneurship has attracted high-profile sponsors, including TD Bank, Toronto Live Green, Aird & Berlis LLP and Ryerson’s Ted Rogers School of Business. Firms with approximately $15 million to invest in this space, including Investeco and Best Funds, are also sponsoring the challenge. The winner and the eight runners-up will have the opportunity to pitch these savvy investors on their ideas. The first round of the contest runs from Nov. 4th to Dec. 20, 2010. Nine finalists will be selected to go into the second round, which runs from Jan. 3- Jan 31, 2011. The winner will be announced at the ClimateSpark Summit in Toronto on Feb. 2, 2011. 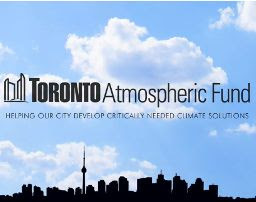 The Toronto Atmospheric Fund (TAF), an arm’s length agency of the City of Toronto,, has been sparking and incubating innovative urban solutions to climate change for close to 20 years. TAF investments in initiatives such as deep lake water cooling, LED traffic signals, auto sharing, energy efficient condominiums, renewable power, and solar heating have helped Toronto save millions of dollars through improved energy efficiency and increased energy security. After a successful construction and ramp-up phase, the production at REC's EUR 1,3 billion green field, integrated wafer, cell and module production facility in Singapore will approach nameplate capacity towards year end. REC is uniquely positioned in the solar industry with full integration of the entire PV value chain from polysilicon to modules. As previously communicated, REC has demonstrated its proprietary, low cost, fluidized bed reactor technology (FBR) in the US. 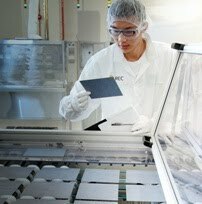 With the new, integrated wafer, cell and module production facility in Singapore, REC is set to achieve a cost competitive position through the entire value chain from polysilicon to modules. By the fourth quarter 2011, REC is targeting a full cost position of 97 Eurocents/Watt based on the cost of manufacturing of FBR in the US and wafers, cells and modules in Singapore. This cost target includes cost of sales and general administration, corporate overhead, research and development as well as depreciation. Excluding depreciation the cash cost target is an industry leading 74 Eurocents/Watt. Furthermore REC plans to further leverage investments in infrastructure at the Singapore site to increase module production to 800 MW by 2012, exceeding the nameplate capacity by approximately 35 percent. "I am impressed by the performance demonstrated by the Singapore organization during construction and ramp-up of the new facility. This achievement gives me confidence in the organization's ability to continue to improve and further strengthen REC's competitive position" says CEO Mr. Ole Enger. Today, Cobalt Technologies, the leader in commercializing biobutanol as a renewable chemical and fuel, announced the signature of a Cooperative Research and Development Agreement (CRADA) with the U.S. Navy to develop technology for the conversion of biobutanol into full performance jet and diesel fuels. The U.S. Navy has set a high priority on the development of cost-effective and sustainable domestic sources of fuels and has several initiatives in place to increase its use of biofuels, while decreasing its carbon-footprint and dependence on foreign petroleum. By collaborating with the Navy scientists who have expertise in converting biobutanol to bio-jet and biodiesel fuels, Cobalt Technologies is well positioned to demonstrate and implement a large-scale process for generating sustainable and renewable fuel for both military and commercial use. Hong Kong – ECO EXPO ASIA 2010 – Nov. 3, 2010 – Executives from the Ontario Technology Corridor are attending Eco Expo Asia 2010 in Hong Kong this week to introduce environmental technology companies that can help solve growth-oriented issues in the world’s largest cities. The Canadian province also offers North America’s most advanced green energy policies, targeted incentives and a generous feed-in tariff program to expanding Asian companies. Ontario is home to 110 head offices of clean technology companies that are predominantly engaged in the development and marketing and/or use of their own proprietary technology to deliver products or services that reduce or eliminate negative environmental impacts. Sustainable Development Technology Canada (SDTC) projects that by 2015, these Ontario clean technology companies will generate revenues in excess of $1 billion. In addition there are over 2,800 environmental industry companies in Ontario, generating approximately $7 billion in revenue and employing 65,000 people. Two of those companies, Ottawa-based Plasco Energy Group and Clearford Industries Inc., are already active in China. In June of this year, China Energy Conservation and Environmental Protection Group (CECEP) and Plasco Energy Group announced an agreement to establish a Joint Venture corporation, CECEP-Plasco China Corp. Plasco will provide its world leading energy-from-waste Plasco Conversion System technology to be delivered in China through this Joint Venture. And in July, Clearford announced its first contract in China to design its patented SBS™ system for development of wastewater collection and treatment in the Hubei Province. Furthermore, Clearford has also attracted private equity investment from the number one boutique investment bank in China as ranked by ChinaVenture. “For the Asian solar industry, Ontario’s most compelling attraction is the Ontario Power Authority’s feed-in tariff, or FIT Program, modeled after successful programs in Germany and France. It features North America’s first comprehensive, guaranteed pricing structure for renewable electricity production, offering stable prices under long-term contracts for solar photovoltaic, on-shore and off-shore wind, biomass, biogas, landfill gas, and waterpower energy,” said Michael Darch, Executive Director, Global Investment of OCRI, Ottawa’s leading economic development organization and an Ontario Technology Corridor partner. Ontario is currently a North American leader in the adoption of green energy policies with its passing of the Green Energy Act in May 2009. Other targeted programs available to the alternative energy and clean technology sector include: Ontario Emerging Technologies Fund, Ontario Innovation Demonstration Fund, Ontario Power Authority Technology Development Fund, SD Tech Fund, and SDTC’s NextGen Biofuels Fund.